Dunleavy and Arduin propose cutting or maintaining every line item for the Department of Corrections, except for the “Out of State Contractual” budget line, which they increased from $300,000 to $17,787,500. Claiming lower costs, they propose moving a minimum of 500 incarcerated people out of Alaska to a facility that is, as of writing, unknown and far from those people’s communities. When asked where, at a legislative budget hearing on Feb. 13, Arduin would not state to which facility they would be moved. Arduin sat on the board of trustees for a GEO Group corrections spinoff – a for-profit landholding firm working in tandem with a correctional company. Will they get a windfall from Alaska’s budget? Well, it’s happened before. Under Arnold Schwarzenegger, Arduin was appointed California’s financial director in 2005 and prepared a state budget including a no-bid contract, re-opening a non-union private prison run by GEO Group Inc. Ten days after leaving her job, Arduin joined the board of a GEO Group spinoff, Correctional Properties Trust. In 2008, she worked as Florida’s budget officer under Gov. Charlie Crist, earning $10,000 per month to help draft the General House Appropriations Bill. During her tenure, $110 million was earmarked, circumventing committee approval, for expanding private prison facilities that GEO Group won a bid to operate. Arduin insists that in California, she had no contact with any of her private prison industry connections while working as finance manager. In Florida, she claims she had no knowledge of the $110 million appropriation for the company whose real estate trust board she had recently served on — despite the appropriation being their main revenue source, and her job one of direct oversight of budget appropriations. On Feb. 4, Alaska Public Interest Research Group (AKPIRG), under the authority of the Alaska Public Records Act, requested written records between Arduin and representatives of any divisions and subsidiaries of the GEO Group and Correct Care. Correct Care is the national for-profit group, now known as Wellpath, that is taking over API, Alaska’s only psychiatric hospital. A former version of Correct Care used to be owned by GEO Group. To date, we have received no response from Arduin. Subverting public processes for private prison-related profit is not new. “What I see, over and over, is repeated sole-source, pre-arranged, heavy-money deals that go to specific (private prison) contractors. ... It’s never been a clean, competitive proposal.” Representative Eric Croft said in 2004, as Alaska struggled to resist an influx of private prison lobbyists. Ultimately, due to public pushback, the state built public prisons and brought out-of-state prisoners back to Alaska. Often, private prison companies will claim that moving prisoners out of state (to private prisons) will cut costs. But that rarely proves true in practice. In Florida, for example, the governor’s office promised savings of $550,000 a year. After three years, it was found that the contracts cost the state double the amount they’d started from: at least $3.3 million in the last year. Ultimately, Alaskans will pay for this scheme through increased crime. By shipping prisoners far from home where they cannot see their families, research shows that underlying mental health issues worsen, and they are more likely to re-offend when they get out and come home. Ninety-five percent of prisoners will be released, whether they are incarcerated in state or elsewhere. If we want safe communities for all Alaskans, we must ensure those re-entrants come home as better neighbors, not worse ones. A criminal record can reduce the likelihood of a callback or job offer by nearly 50 percent. The negative impact of a criminal record is twice as large for African-American applicants: White men with a criminal record are more likely to get an interview than black men with no criminal record. And reduced employment for the millions of people with records costs the U.S. $78 billion to $87 billion each year. Rather than seeking to send our offenders to for-profit prisons, our state should develop trade programs and re-entry services to help individuals gain viable, stable employment -- a key to ensuring that people do not end up back in prison. 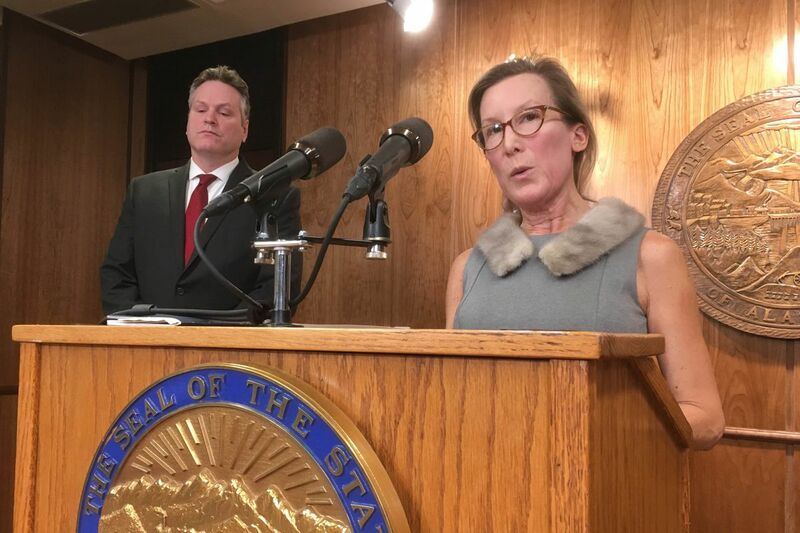 Instead, Dunleavy and Arduin are proposing to make current prisoners better criminals, to weaken communities, and to drive Alaska further into financial crisis. The proposed budget would especially hurt Alaska Native and African American communities. African American and Alaska Native populations are incarcerated at disproportionately high rates and for longer than their white counterparts, in Alaska and across the country. Of the minimum of 500 inmates that Arduin wishes to move out of state, it is likely that a large percentage of these people would be from African American and Native communities, maximizing the negative impact on these communities as they are offered fewer chances to become better neighbors as they re-enter into public life. Moving prisoners out of state would not just cost Alaska more; it would harm already under-served communities and line the pockets of lobbyists who profit from obscuring the public process for private benefit. Kevin McGee is the President of the NAACP, Anchorage Chapter. Veri di Suvero is the Executive Director of the Alaska Public Interest Research Group (AKPIRG). Kevin McGee serves as president of the NAACP in Anchorage.